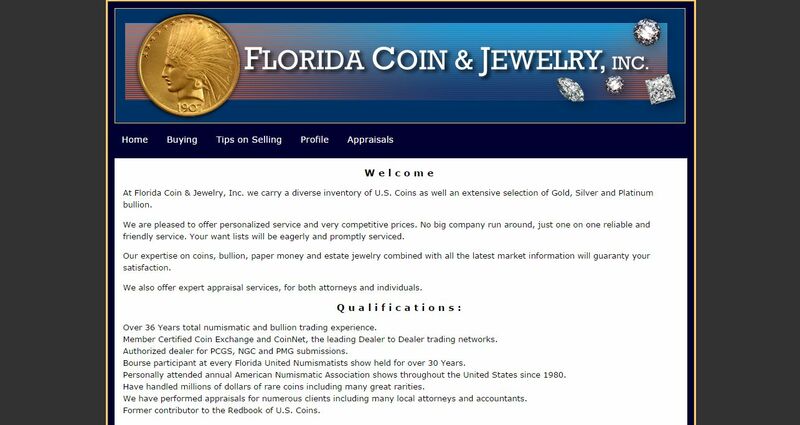 Florida Coin & Jewelry address, phone, website, and more. 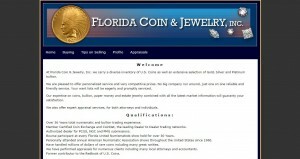 At Florida Coin & Jewelry, Inc. we carry a diverse inventory of U.S. Coins as well an extensive selection of Gold, Silver and Platinum bullion. We are pleased to offer personalized service and very competitive prices. No big company run around, just one on one reliable and friendly service. Your want lists will be eagerly and promptly serviced. Our expertise on coins, bullion, paper money and estate jewelry combined with all the latest market information will guaranty your satisfaction. We also offer expert appraisal services, for both attorneys and individuals.